At any age – ACT as you learn for progress that sticks. 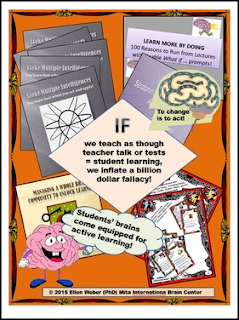 Your brain’s amazing plasticity will do the rest to "un-stick" stagnation, and "stick" learning benefits! Enjoy this poster challenge for change! Display in staff rooms, organizational foyers, classrooms and any setting where learning yields amazing dividends. Use as a discussion starter and motivation trigger.